O2 has hinted it will be ranging a new, top-end HTC smartphone before the end of the year, and the handset will come without a charger in the box. The mobile network announced that it would sell the first mobile phone, which will be manufactured by HTC, to come without a charger in the box - with just a USB cable to keep the handset company inside the cardboard. TechRadar spoke to O2 about the upcoming HTC handset and a spokesperson for the network said: "It will be a brand new, top of the range handset which will be announced in October." No other details were given, so we're left wondering if we're about to see a new Android device from the Taiwanese firm, or possibly the announcement of the rumoured HTC Elation (previously Zenith) which looks a lot like the One X, but runs Windows Phone 8. We also posed the question whether the removal of the charger from the box will lead to a reduction in cost of the overall product, but it doesn't look like this will be the case. 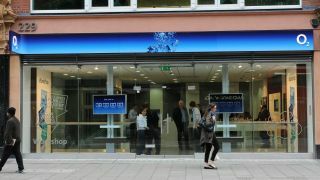 An O2 spokesperson said: "The box price is based on manufacturer price. We will make nothing extra by not including it (the charger). "As phones sold without chargers become more prevalent we do expect costs savings from more efficient transport, reduced resource use, less manufacturing etc."